Available for $459, BMW Car Eye 2.0 features a full-HD wide-angle camera that automatically records certain driving situations. The detailed video this product takes is also saved automatically. Various sensors on the light-sensitive camera, as well as excellent signal processing, mean the camera is capable of recording high-quality images during the day and at night. The highly sensitive GPS receiver enables recording of the road and speed. The G sensor detects impacts. Ambient movements are detected and analyzed by radar technology. The design of the Advanced Car Eye 2.0 matches the BMW vehicle design and therefore looks perfectly at home in your vehicle. To see the BMW Car Eye 2.0 in action, view the video highlight below! If you are curious to learn more about this product, anyone on our knowledgeable Galleria BMW team will be able to assist you. BMW Parking Assistant makes parking in even the most difficult spots a breeze. You are able to move in and out of parking spaces by having the Parking Assistant technology control the steering wheel while you still have full control over the accelerator, gears, and brakes. 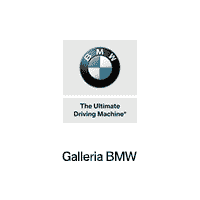 Watch our Galleria BMW staff use this feature live to park his Ultimate Driving Machine with ease! Check out our team demonstrating Assisted Driving Mode in the All-New BMW X7 and the 2019 BMW X5! This feature takes driving to another level with technology such as distance control to keep you an appropriate length behind the driver in front of you, and lane keep assist to make sure your vehicle stays in your lane at all times–even if your hands are off the wheel! It has never been easier to control everything in your BMW! Check out our Client Advisor, Spencer, control the settings in his BMW without even lifting a finger! Members of our team took the all-new BMW X5 xDrive for a spin to see how well it handles on gravel roads! They hardly kicked up a single piece of gravel and enjoyed a smooth ride. Check out a sneak peek. One of the most common questions we get asked is “Will my BMW have remote start?” The answer is now YES thanks to the all-new redesigned 2019 BMW X5. This vehicle is the first BMW in the lineup to offer its drivers the highly demanded remote start feature. Check it out below! Not only does the first-ever BMW X7 have plenty of space for your entire family, but it easily converts into 90.4 cubic feet of cargo space. Watch Amber, our BMW Genius, demonstrate how easy it is to convert your BMW from rows of seats, to endless cargo space.